Last year after cooking a rather large roast chicken for Easter, I was looking for new and inspiring dishes to use up all the leftovers. I turned to Nigella Lawson’s “Feast” and came across a fantastic asian-inspired Turkey and Glass Noodle Salad. 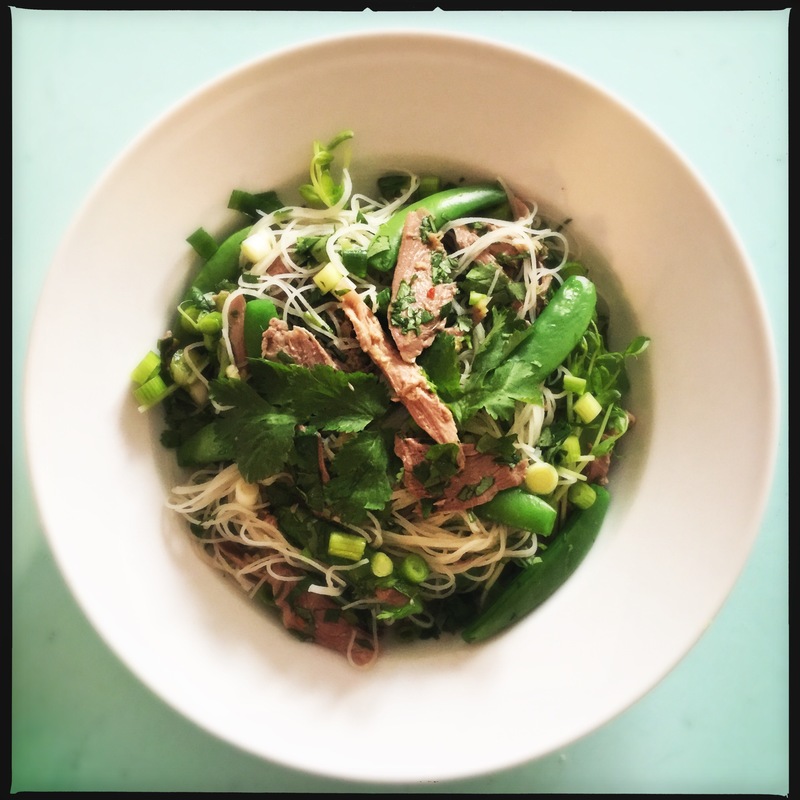 According to Nigella, it draws inspiration from Vietnamese ingredients. This is a very versatile recipe – you can easily substitute duck or chicken for turkey which is what I did this year after Christmas. It’s also a great refreshing dish after the excess of Christmas dinner and reminds me of home. One of the things I have missed living in New York is great Vietnamese and Thai food.